Chicken, Chicken Broth, Potato Starch, Chopped Asparagus, Chicken Fat, Blueberries, Baby Carrots, Calcium Lactate, Monosodium Phosphate, Salt, Agar-Agar, Salmon Oil, Olive Oil, Ground Flaxseed, New Zealand Green Mussel, Dried Kelp, Potassium Chloride, Whole Cranberries, Calcium Carbonate, Choline Chloride, Betaine, Zinc Proteinate, Potassium Chloride, Iron Proteinate, Niacin, Vitamin E Supplement, Thiamine Mononitrate, Copper Proteinate, Manganese Proteinate, Sodium Selenite, Calcium Pantothenate, Vitamin A Supplement, Riboflavin, Pyridoxine Hydrochloride, Biotin, Vitamin B12 Supplement, Calcium Iodate, Vitamin D3 Supplement, Folic Acid. 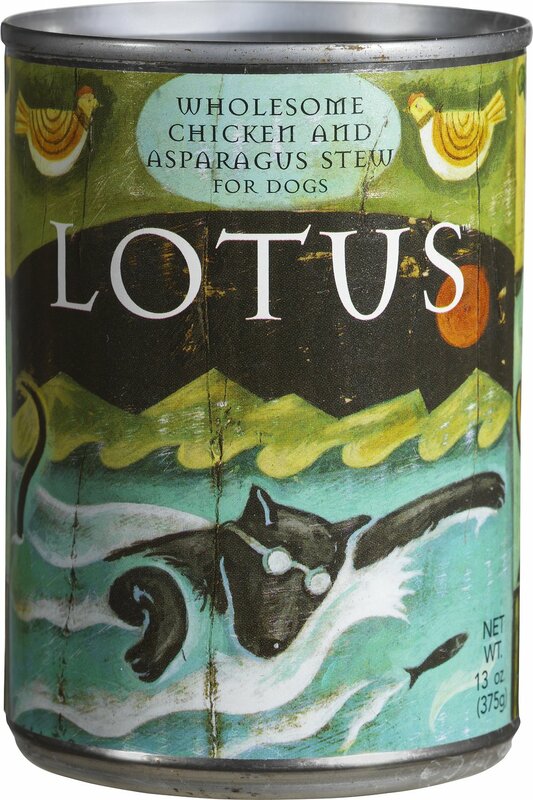 Lotus is one of the best quality dog foods you can buy, and my dogs absolutely love it. As other reviewers have noted, this flavor is more watery than others. My dogs don't seem to mind. 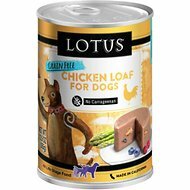 My past experience with Lotus brand dog food both moist and dry has been excellent. I normally purchase their rabbit loaf moist dog food but it was unavailable. 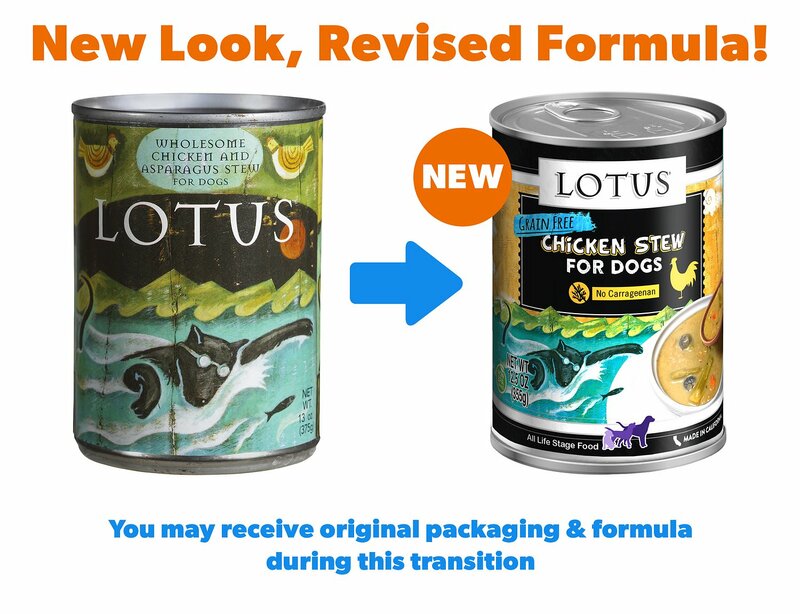 I decided to purchase a couple varieties of their stew grain-free canned dog food and was sorely disappointed. The food is mostly gravy, which is potato starch, with very little chicken or other whole items. I would not purchase this item again nor would I recommend it. I have fed all canned versions of Lotus for the last few years( including this one) The last 2 cases have been incredibly watery! !In the past, it was thicker like the beef stew. My dog eats it but I feel a pricey food like this should be so devoid of solid parts. I called Chewy and the phone rep was not aware of any problem from the manufacturer- may cal Louts directly- they need to do better.. This is not a stew. It is a combination of pureed liquid and some shredded meat. Dog has to lick it up. Won't buy again. My dog loves this canned food. It actually smells and looks edible. You can see the chicken and asparagus in it. I bought it for her because she had dental issues and she can eat this easier. This is very pricey gravy. Next to no solid food. Will not buy again! 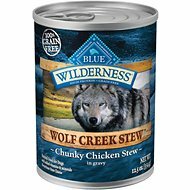 My dog loves this canned food and has major allergies and stomach sensitivities! I mix it with a little canned 'Royal Canin Gastro Intestinal low fat' and Nupro powder with probiotics. His stomach and pancreas doing beautifully. He is 10-years old and acting like a puppy again! I love it! Love Him! Superb quality ingredients--expensive AND he is worth it. No trips to the vet except his physicals and shots. Our dog really enjoys this food. It smells great, I'm almost temped to taste it myself. It's not soupy like the other flavors that people have complained about. The only downside is that it's pricey but with our dog we can usually get 3 servings out of one can. By buying in bulk with free shipping and no tax it works out better than the local pet shop. Pricey, but it is by far the best canned food I've ever seen. It looks like real food, smells like real food. It looks like people food! My dog's LOVE it.